Gartner Peer Insights is a new online library of ratings and reviews on enterprise IT solutions. The reviews are written by IT End Users at enterprises for IT End Users and do not include software vendor content or reviews. 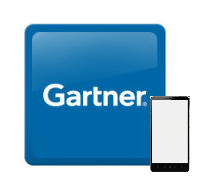 Gartner launched the site in Q4 2015 to address the universal need of enterprise buyers to find references for purchase decisions. 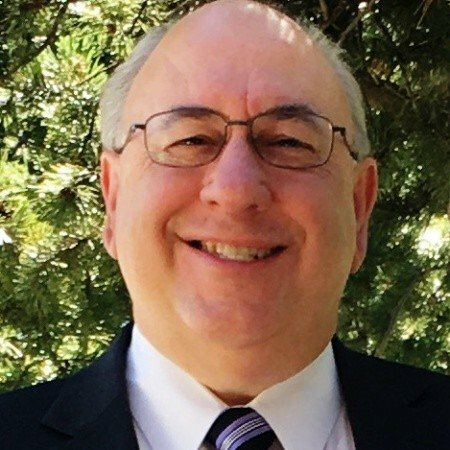 It is unique in that is written by enterprises about the software they are using and is a free content offering from Gartner. When Alpha Anywhere was added to the site last Friday, we were thrilled to see it appeared as the only vendor with a 5.0 out of 5.0 peer rating. 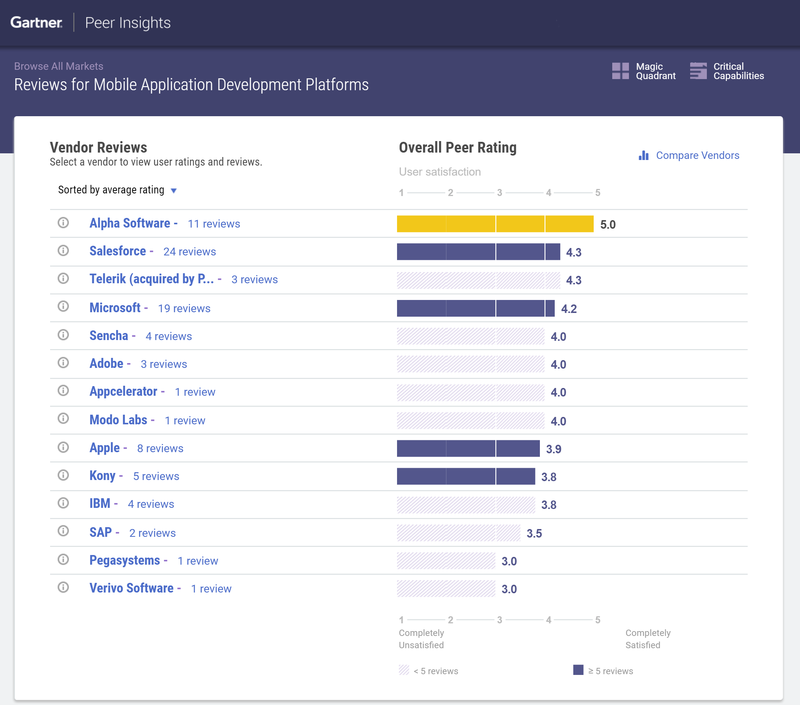 The flexibility of our platform and key capabilities around integration, offline, usability and security have pushed Alpha to the top of the ranking in users' minds. Thank you for your ongoing product feedback and support that has helped us make make Alpha Anywhere a leading product for mobile and web application development! To learn more about Alpha Anywhere's latest capabilities, click here, or read how our offline capabilities or mobile optimized forms led InfoWorld to award Alpha Anywhere it's 2016 Technology of the Year Award.